A terrorist attack on the Nevsky Express on Friday night caused over one hundred victims, innocent men, women and children travelling from Moscow to St. Petersburg. The search is currently under way to find those responsible for this act of sheer evil. Friday night. 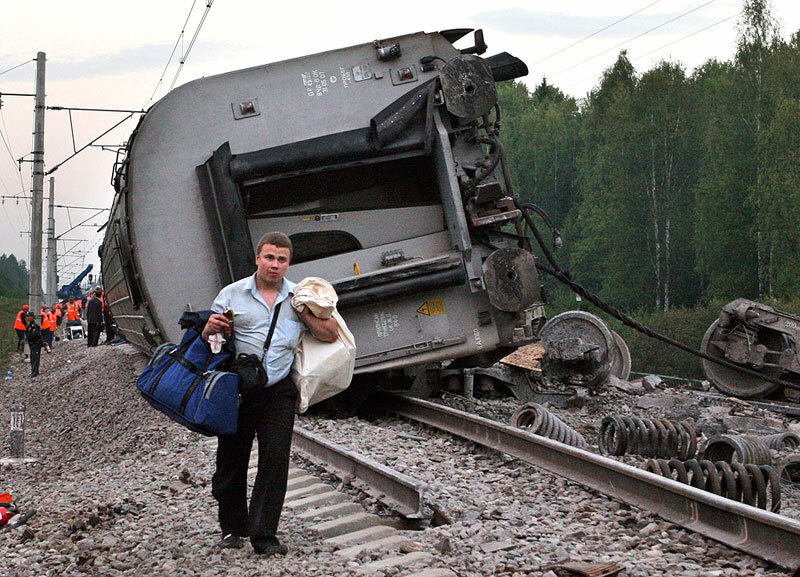 21.34 Moscow time, RZD train number 166 was travelling from Moscow to St. Petersburg when an improvised explosive device with the equivalent of seven kilos of TNT was detonated under the ninth carriage of 14 in the Alyoshinka-Uglovka section near the town of Bologoye, on the border of the Regions of Tver and Novgorod. The last three carriages left the rails, two of them turning over and trapping the passengers in the wreckage. Eye witnesses spoke of a loud clap just before the derailment, which caused 25 deaths and 96 injuries, with a further 26 people missing. The train, the Nevsky Express, which travels at up to 200 kmh, and covers the 650 km between Moscow and St. Petersburg in four hours, was carrying 661 passengers and 21 crew. President Medvedev immediately made all resources available to help the victims and to investigate the cause of the accident. FSB Director Aleksandr Bortnikov confirmed on Saturday that the accident was caused by a terrorist attack. 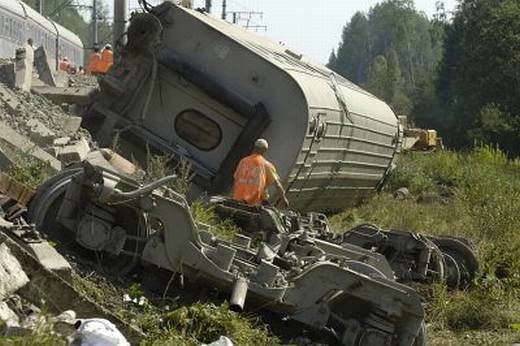 The procedure for identifying bodies of the dead in the Nevsky Express disaster has been completed in the city of Tver. All relatives who came to Tver participated in the identification process. Investigations continue and according to the latest data, 25 people died and 92 were hospitalised. 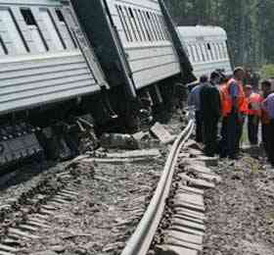 It is reported that 85 injured passengers of the Nevsky Express train are being treated at hospitals in various cities. All in all, 81 people turned for help to St. Petersburg medical establishments. Out of the total, nine are heavy cases, 27 with moderate to serious wounds and 44 with light injuries. As many as 22 are without documents. Foreign citizens were also on the Nevsky Express train: a person whose name is I. Sbalzarini is listed among the passengers in carriage eleven, and R. Rajesh was possibly in carriage ten, according to Interfax news agency. The Italian Foreign Ministry has confirmed that one of their citizens was traveling on the Nevsky Express. Italian citizen Armanda Noacco is currently being treated in the Valday Town Hospital undergoing surgery suffering from several bone fractures. 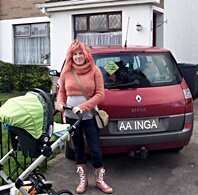 Her condition is considered “moderately grave”. The Mayor of St. Petersburg, Matvienko, reported that out of 653 passengers carried by the train, 463 were Petersburg residents. Residents of the local area, including taxi drivers and store owners, are being questioned. Specialists are also checking all mobile telephone calls in the area. Law enforcement authorities believe the crime had been planned for more than a month. Instructions were given to law enforcement on the procedures for hunting down suspects. “In connection with the second blast that occurred on November 28 at the crash site of the Nevsky Express train, sappers thoroughly inspected terrain, adjacent to the place of the train disaster, in order to spot other explosive devices. The investigation group will continue on Sunday to examine the area of the incident and conduct forensic tests on bodies of the victims. Elements of an explosive device were spotted at the place of the Nevsky Express disaster and the blast on rail-tracks formed a crater 1.5 metres deep. A criminal case was instituted under Article 205 (terror act) and Article 222 (illicit arms trafficking) of the Russian Criminal Code and forwarded for investigation to the main investigation department of the committee.